Biofuels advocates, consumers and farmers alike have been praising the news that the Environmental Protection Agency (EPA) plans to lift restrictions on year-round E15 sales. 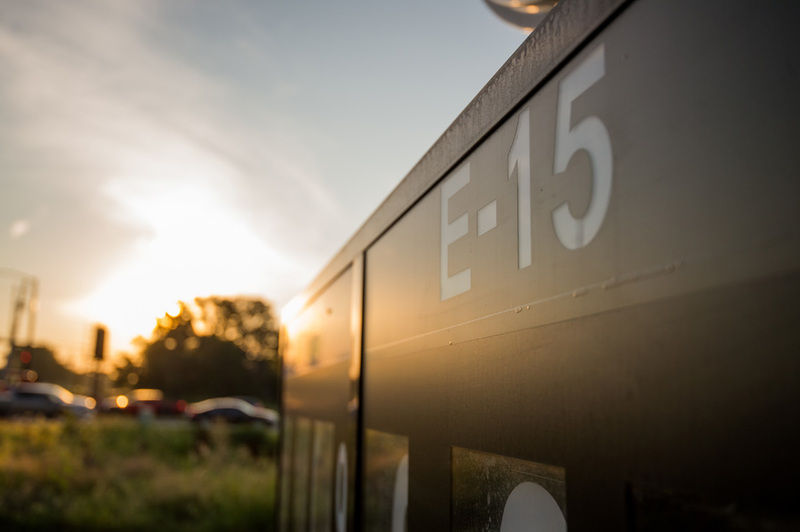 On Tuesday, March 12, the EPA released its long-awaited proposed rule to allow year-round E15 sales and is expected to issue a final rule in time for next summer’s driving season. The E15 announcement is widely touted as a benefit for the farm economy that will help drive demand for agricultural products. Nationwide adoption of E15 could drive demand for an additional 2 billion bushels of surplus grain. In addition, biofuels advocates note that year-round E15 is also an important step forward to give motorists a cleaner, higher-octane option at a lower cost year round. Consumers could save five to 10 cents on every gallon by fueling up with E15. But what you might not know is that fueling up with E15 — a federally approved biofuel with 15 percent ethanol and 85 percent gasoline — is also a win for the environment. C. Boyden Gray, who was one of the principal architects of the 1990 Clean Air Act Amendments and involved in creating the Energy Policy Act of 1992, noted that E15 will bring widespread benefits to the environment. Two recent national studies from the U.S. Department of Agriculture (USDA) and the University of California – Riverside (UCR) affirm that higher blends of biofuels like E15 bring improved air quality conditions. The study from UCR shows that as the amount of ethanol increases in the fuel supply, we see the benefits of cleaner air and improved air quality conditions for human health. UCR, an independent third party, conducted the study to compare tailpipe emissions of ethanol to aromatics, which are both octane components in the fuel supply. While ethanol comes from renewable resources, aromatics are derived from petroleum and include compounds such as benzene, toluene and xylene that are highly toxic and known carcinogens. Ethanol is a direct substitute for aromatics in gasoline and is used to raise the octane level that prevents premature ignition, known as knocking, that can damage engines. The study shows that the more ethanol (and less aromatics), the cleaner the air in terms of nitrogen oxides, carbon monoxide and other pollutants. Notably, harmful levels of particulate matter are also significantly reduced. Particulate matter are microscopic particles in the atmosphere that, once inhaled, can affect the heart and lungs and cause serious health effects. Steffen Mueller, PhD, Principle Economist at the Energy Resources Center at the University of Illinois at Chicago, said the UCR study provides key insights about emissions reductions, while reinforcing other studies that show how ethanol contributes to cleaner air. By filling up with E15, consumers are taking steps to improve overall air quality. Since ethanol replaces aromatics in gasoline, consumers are reducing tailpipe emissions when they choose to fill up with E15. A 2017 report from the USDA found that biofuels offer a substantial reduction in greenhouse gas emissions associated with corn-based ethanol in the U.S. When measured on an energy-equivalent basis with gasoline over a 10-year period (2005 - 2015), emissions from the production of corn-based ethanol were 43 percent lower than gasoline. In addition, a 2012 study from the Department of Energy’s Argonne National Laboratory estimates 19 to 48 percent reductions from lifecycle greenhouse gas emissions from corn ethanol, depending on the source of energy used during ethanol production. The USDA study is also a reminder that consumers’ choice at the pump makes a difference in air quality. “Transportation is a key factor in increasing greenhouse gas emissions. This study shows that the type of fuel we use is important. … It’s good for the environment to make a choice and pick the right fuel. It’s good for the environment and ultimately good for lung health,” says Angela Tin, Vice President of Environmental Health for the American Lung Association of the Upper Midwest. While some individuals advocate electric vehicles as the penultimate solution to eliminate tailpipe emissions, analyses show that the majority of cars on the road in the next 15 years will still use petroleum-derived fuel. According to the Fuels Institute — a non-partisan organization that evaluates issues affecting vehicles and fuel markets — even if electric vehicles were given the same increase in sales as the auto industry for the next 15 years — a wide margin at 27 percent increase in sales — they would still be only 10 percent of the auto fleet on the road today. "We have to have a better future fuel that pulls higher-octane fuels into the marketplace,” says Kyle Gilley, Senior Vice President of External Affairs and Communications, POET. Learn more about the UCR study in Vital Follow Up podcast Episode 001. Visit getbiofuel.com to find an E15 station near you.